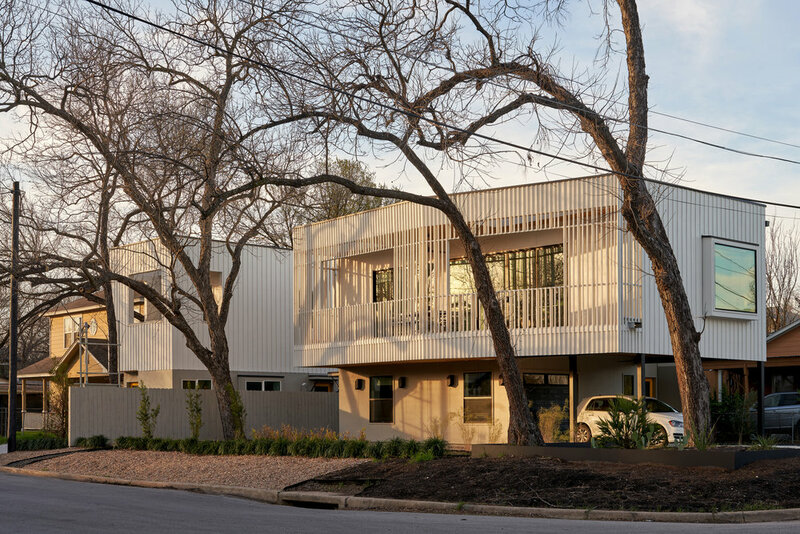 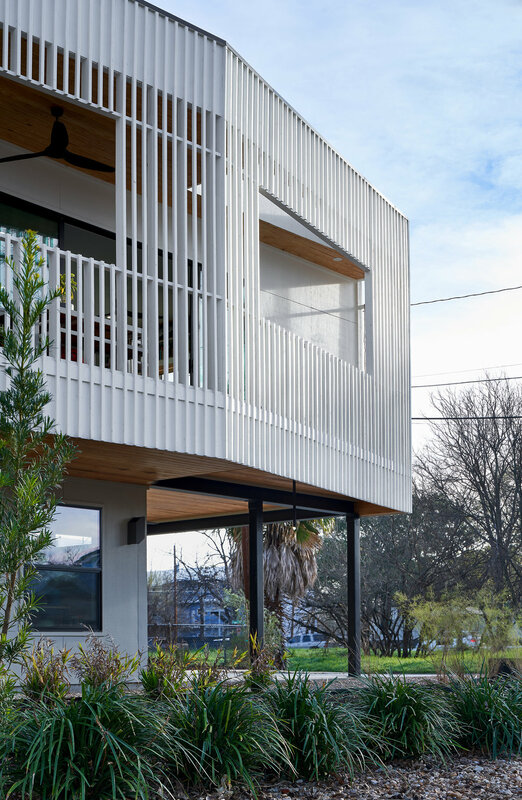 Maude Street embraces the need for density in the urban core of Austin while maintaining a residential scale. 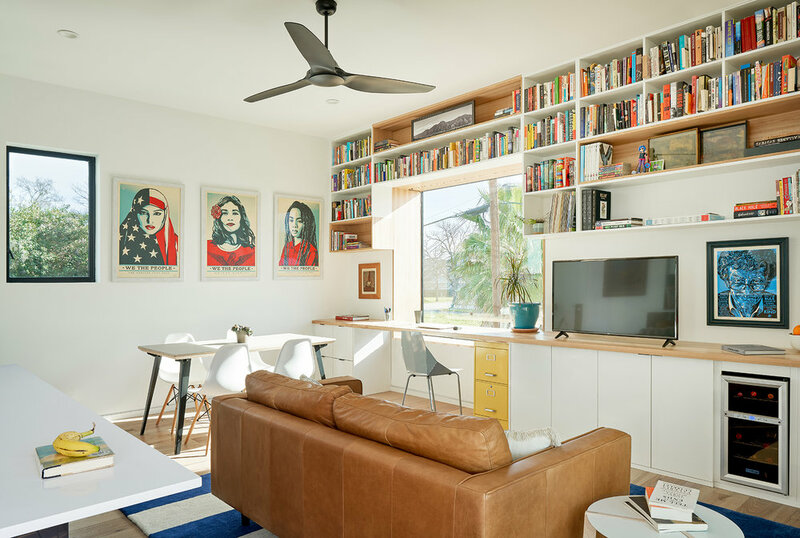 The owner developed a program that included three separate units on a single corner lot: a primary dwelling for himself, a guest suite, and an auxiliary dwelling unit. 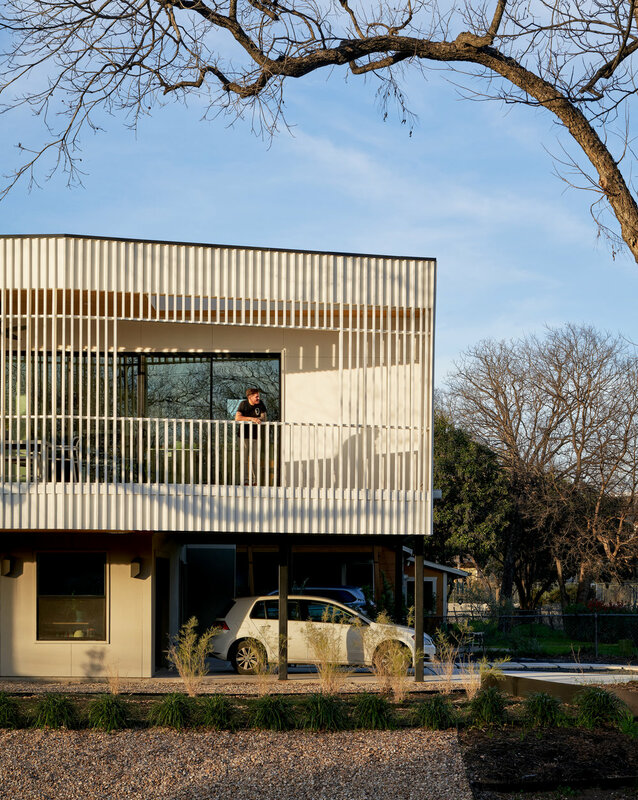 The design challenge was to include all three units and maintain a cohesive character that respects the scale of the surrounding residential neighborhood. 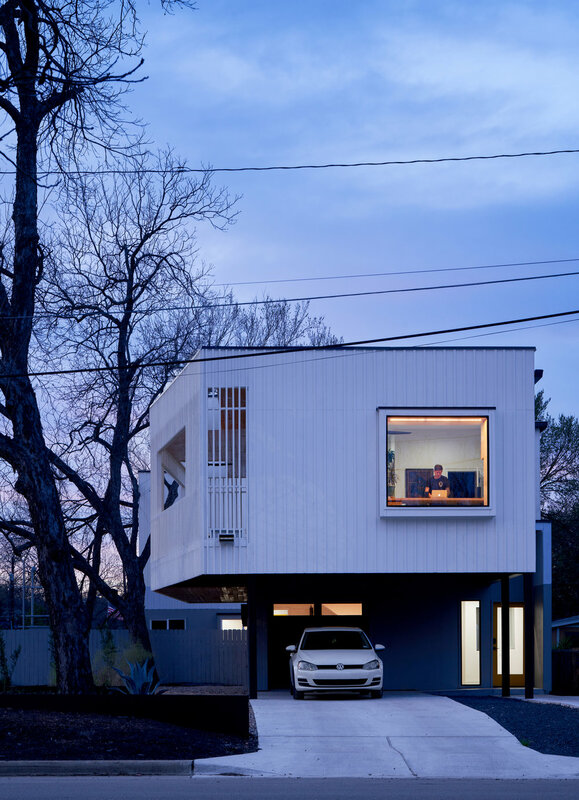 To achieve this, we lifted the main dwelling up to the second story, and inserted the short-term rental below. 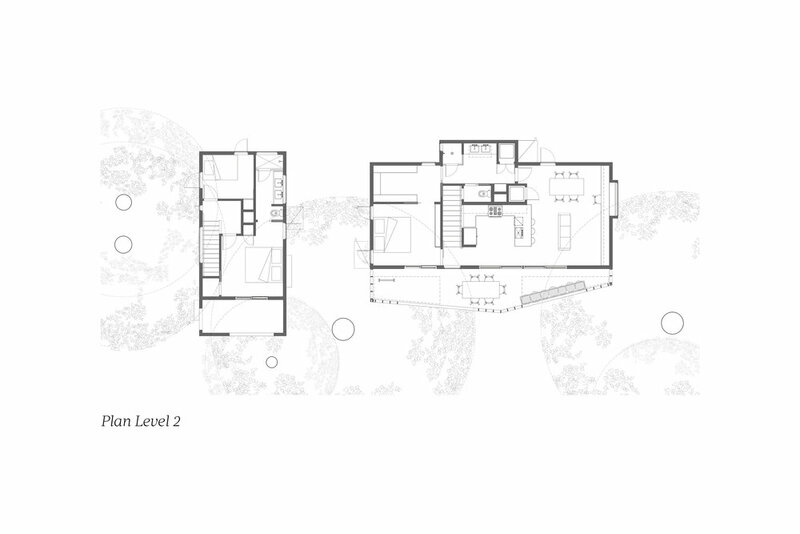 The large outdoor terrace overhangs the parking and entry on the ground floor. 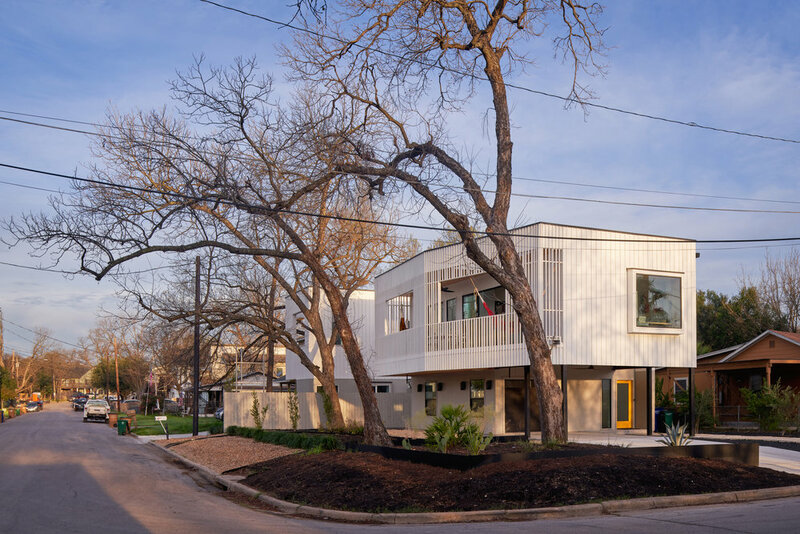 The third dwelling unit, a standalone structure, tucks in the back of the lot and presents a narrow elevation towards the street.